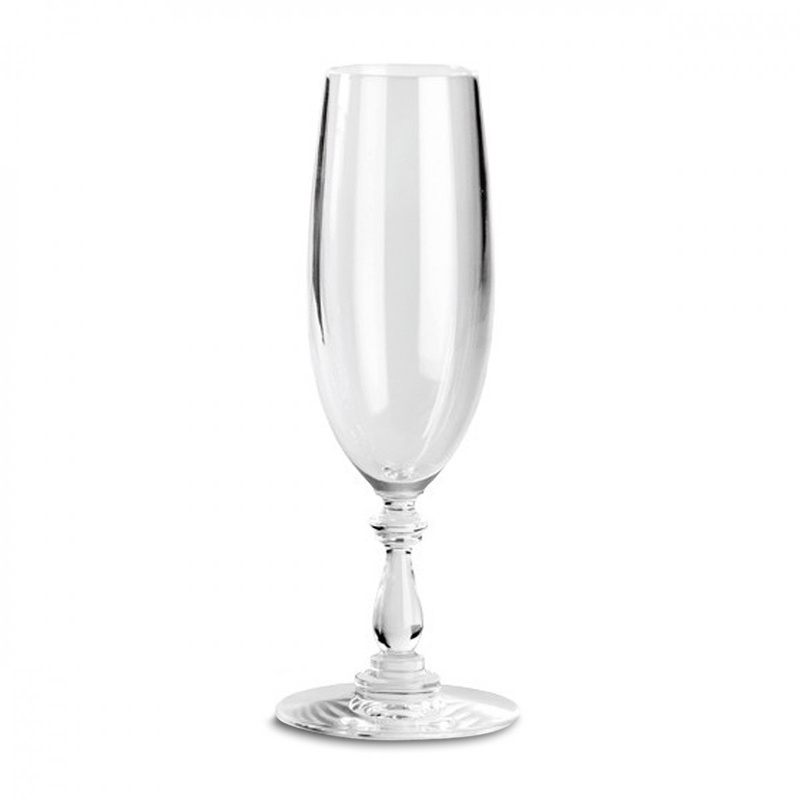 The 4 Dressed Champagne glasses are the perfect choice for those who want a stylish design. The 4 Dressed Champagne glasses accentuate the precious bubbles, making them the absolute stars of the table. 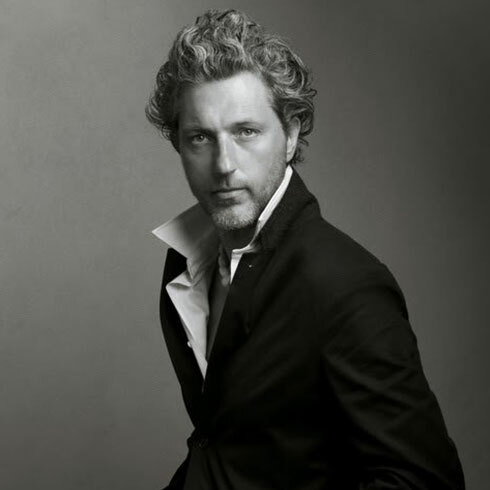 Designed by Marcel Wanders for Alessi, they feature a classic, refined shape. A thin stem gives it a slender and elegant silhouette, while the cup is designed to enhance colour, nuances and fine pelage. They are made of crystalline glass which, due to its transparency, makes it high-end material and gives off a light air to the whole mechanism. This feature also adds genuine practicality and a decorative motif, inserted into the inner stem, which creates style vibes around the entire glass. The dimensions of the 4 Dressed Champagne glasses by Alessi make them ideal for the tasting of sparkling products. The top part, with its roughly 23 cl capacity, enhances the effervescence and smell of the champagne, forming aromas and fragrance around the nose. Its size also allows an impeccable taste for the wine quality itself, as you come to appreciate the organoleptic characteristics of champagne. The thin edge is designed to enhance without getting in the way of the taste with unpleasant tactile sensations. These classic and timeless glasses make them suitable for all occasions and any formal event. It fits in with the traditional home layout, becoming the headliner of special parties. Ideal in company, it can also be used for contemplative tasting of champagne during precious moments. 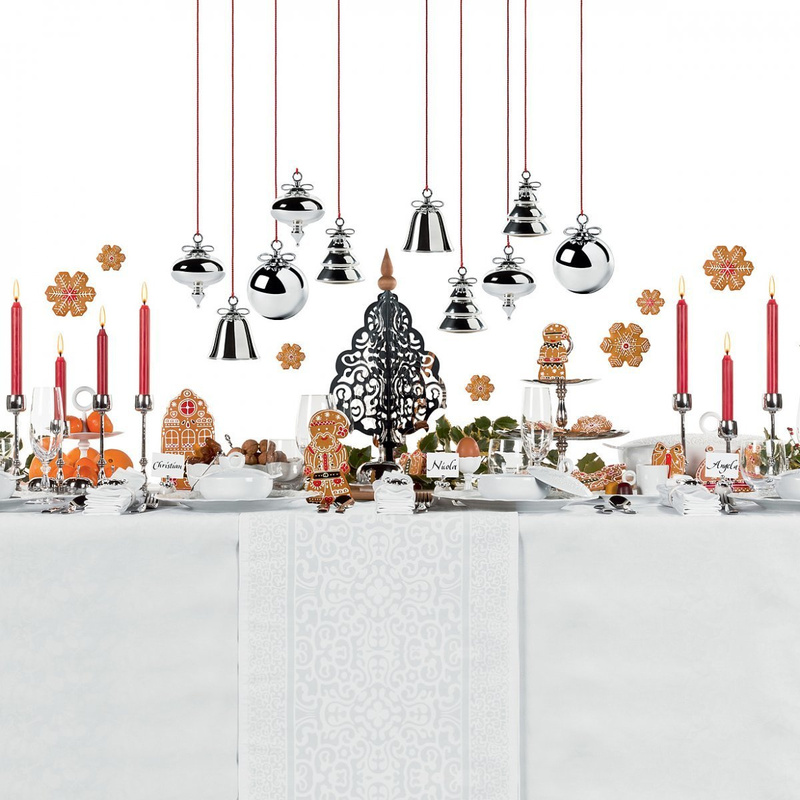 For those who need the perfect fit around the table, the 4 Dressed Champagne glasses by Alessi are the ideal choice. With its small size and potent shine, they go perfectly next to other precious glass in cabinets, or by the bar, placed on finely chiselled trays. They are the perfect gift for any occasion, from the every day celebrations to Christmas holidays, for those who love fine design that still flaunts functionality.